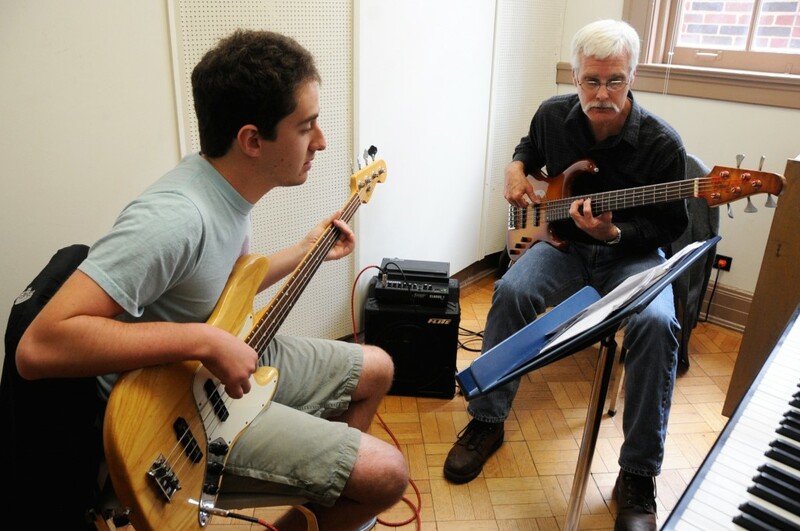 Music lesson on electric guitar by Tulane Public Relations is licensed under CC BY 2.0. “Learning occurs when new information is attached to other information in the brain. If this information is isolated pieces of data, this process results in declarative knowledge. When declarative knowledge sorts into different webs of meaning, structural knowledge is the result. Procedural knowledge is the result of understanding connections among pieces of data. Procedural knowledge is the knowledge that allows students to take action. Teachers can and should support learners in every aspect of knowledge acquisition. Technology can help but only if it is used wisely and arranged to fit the goals” (Egbert, 2009). OnMusic Dictionary – Search for any musical term or composer. Fundamentals of Music – Learn about staff and notes, scales/keys/modes, chords/intervals/harmony, articulation, and instrument-specific topics. Glossary of Musical Terms – Naxos provides a glossary of musical terms. Musical Symbol Chart – Learn about lines, clefs, notes and rest, breaks and pause, accidentals, time signatures, note relationships, dynamics, articulations/accents, ornaments, octave signs, repetition and codas, and keyboard notations. StarMaker combines karaoke and video to make singing fun. Students can see the change in pitch on the screen and whether they are in tune or not. The app even has an autotune feature and several other effects to add interesting filters to the mix. Singing lessons with Jeff Rolka – access resources on Jeff’s website, download his vocal warm-ups on iTunes, or access 41 videos for all voice types on YouTube. Lip trill with Jeff Rolka – The lip trill is a common vocal exercise used to warm-up the voice. musicofx has apps for iOS that students can use to practice a variety of instruments. Students can record and share performances online. Instruments include flute, clarinet, saxophone, trumpet, and trombone. Each app is only one dollar. Trombone: A Player’s Guide – Topics Covered: Introduction, History of the Trombone, Tools of the Art, Assembly and Maintenance, Breathing and Buzzing Basics, The Warm-Up, Basic Articulation, Slide Technique, Tuning, Style and Versatility. Sequential Studies for Four Mallet Marimba with Julia Gaines – This video lesson series follows this highly researched sequence of four mallet technique. In each lesson, Dr. Gaines will discuss the fundamentals behind each new concept, demonstrate the techniques and provide an exercise that will apply the skill. Technique Guide and Exercise Packet – Includes instructions and exercises for mallets and timpani. MusOpen – Find public domain and open source recordings, sheet music, and textbooks available for free. International Music Score Library Project – Search public domain music scores by composer, nationality, time period, instrument, and melody. Mutopia – Free sheet music editions of classical music for free download. Public Domain Information Project – Includes public domain music and royalty free recordings. 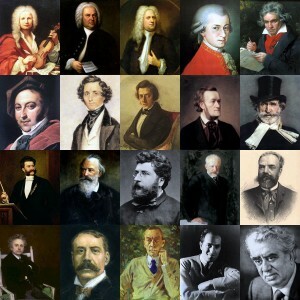 Naxos – Find classical recordings and a variety of information related to the artists and composers. AllMusic – Look up any recording and find artist information and production credits. ClassicalArchives – Free recordings, sheet music, and composer information. Also available as an app for iOS and Android. 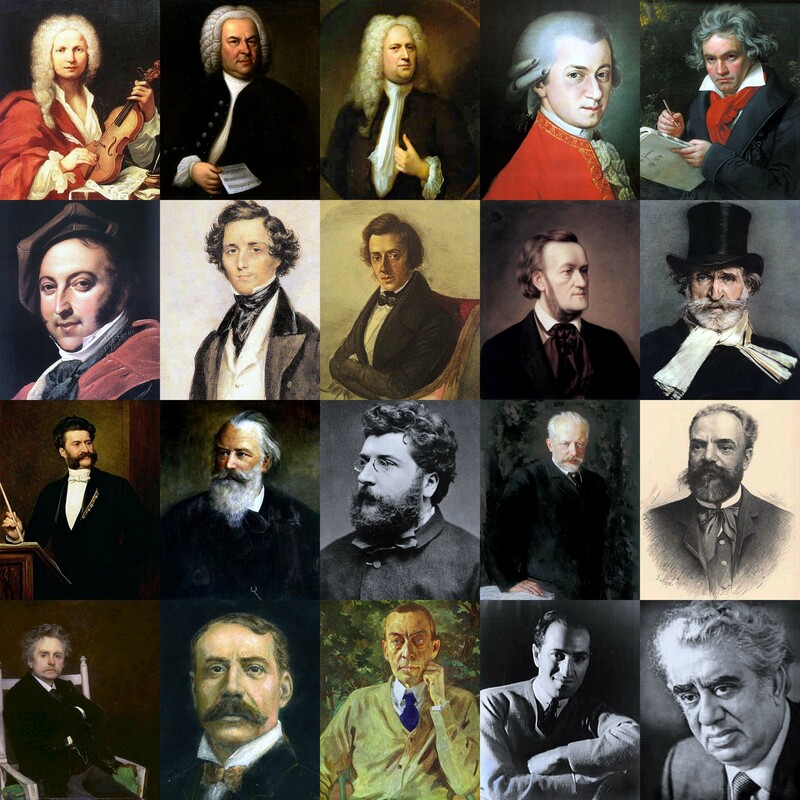 Montage of some great classical composers by Jbarta is licensed by CC BY-SA 3.0. A History of Western Music – Outlines of musical periods, flash cards, and an excellent glossary covering all aspects of music history. Music History 102 – A guide to Western composers and their music from the Middle Ages to the present. History of Classical Music – Naxos provides a brief overview of the eras in music history complete with recommended recordings. From the Repertoire: Western Music History through Performance – Explore eight important works from different eras and genres of Western classical-music repertoire, through performance recorded at the Curtis Institute of Music. This free 7-week online course includes discussion of each work’s historical context, composer, musical significance, and compositional design.